After my investigation of Pringle and its reinvention as an international fashion brand, I decided to show you the real deal. A genuine Scottish jumper, tartan no less, knitted in East Lothian and purchased last year at Macraes of Edinburgh at the bottom end of the Royal Mile, where Scott Officer's gorgeous hand-framed intarsia sweaters had a small cult following among the neighbours. I later discovered on a subsequent trip that its riff on the Hunting MacLeod tartan appears on more or less every carpet in every guest house in the country, making it the perfect nominee for the title of Appropriated Edge Christmas Jumper 2014. This wool-silk mix jumper is so far removed from the vagaries of high fashion and the ubiquities of the high street that it probably shouldn't exist at all. In fact, it's tempting to say that it lives outside of fashion entirely and any attempt to recontextualize it as an objet de la mode is bound to be fruitless. But I'm going to try anyway. For the sake of bloggage, I discovered it improbably on sale on the National Geographic website for the bargain price of $60 (marked down from $180). I wish I could send you off to buy it, but it's only available now in a ginormous size XXL. It is helpfully reviewed by blokes with names like Charles the Banjoist, who uses it during cold days, and Joe, who declares Anythig Scotish is Good (sic) with which I cannot argue. The accompanying blog post calls to mind an image of pre-industrial pastoral manufacture in which each jumper is lovingly framed on hand-operated machinery in a crofter's cottage rich with the fragrance of wood smoke and winter leaf mulch. A few miles down the road in Hawick and a world away in fashion terms, Scotland's luxury knitwear industry is radically reinventing itself, adjusting to a reality which now expects high fashion in place of grand heritage. The skill and quality on offer in these small factories lends itself perfectly to the demands of haute couture, along with the commitment to artisanal production which is now integral to the operation of what's left of the country's textile industry. In the aftermath of the race to the bottom that caused the demise of Pringle and others not so long ago, it leads to higher standards all round and, one would hope, a more authentic product. One such example are Barrie Knitwear, who have long worked with Chanel to produce their iconic two-tone cardigans and are now a fully owned subsidiary of the French couture giant. This year saw Barrie produce tricot for the double-C's much-vaunted Paris-Edimbourg line as well as their eponymous range, both under the creative direction of Karl Lagerfeld. The Highland inspired collection featured plaid, Argyle and fair-isle designs worked into sumptuous luxury knits for the delectation of Chanel's moneyed clientele. It's well known by now that modern tartan and its association with the clans is in fact a nineteenth century invention fuelled in part by romantic notions about Scottish identity as propagated by writer Walter Scott. It's not such a huge leap from there to yet more reimagining of an elite heritage which never really existed into a froufrou confection as seen through the gimlet eye of King Karl. The Kilt - real tartan for real men. The reality of tartan as signifier of a more quotidian national self-image is somewhat more contentious. Scotland's status as a nation is bound up with its complicated, conflicted relationship with Westminster and the rest of the United Kingdom, as came into sharp focus during 2014's closely fought referendum. In this context, the kilt, and by extension tartan itself, becomes a form of battle dress and a universal symbol of rebellious masculinity. Which brings me to the many, manifold reasons a woman has for shopping the men's department, particularly when it comes to knitwear. While womenswear offers endless variety and all the possibilities for role-play that brings with it, men's knitwear delivers no-nonsense quality, practicality and bang for the buck, perpetually at odds with the effete affectations of high fashion. In short, if you can pull it off without feeling frumpy, dressing like a man will make you look tough. A chunky jumper like this one is the very antithesis of the sleek, luxurious cashmere manufactured in Hawick. It is the grandaddy of performance wear. 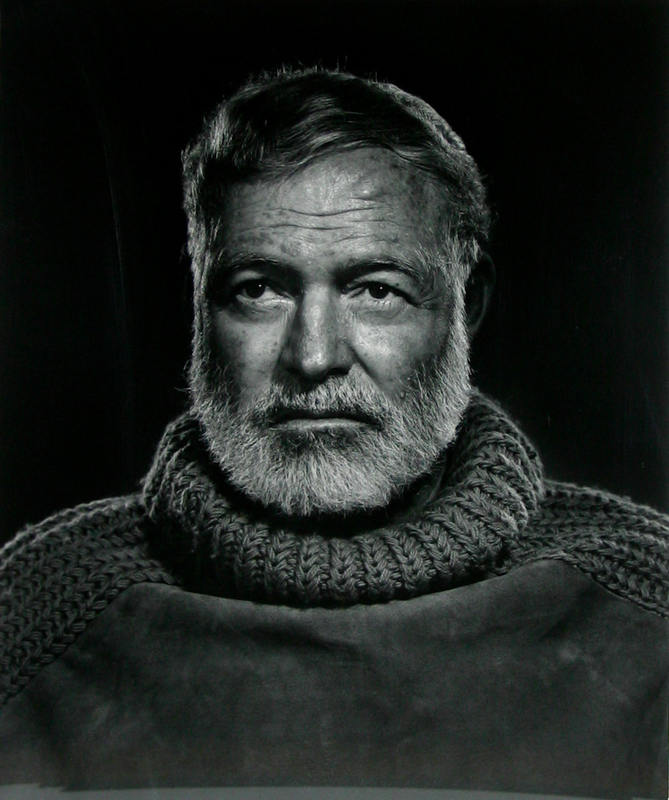 Long before we had Gore-Tex or recycled plastic fleeces, waterproof Aran and Guernsey jumpers knitted in the grease were a protective essential for fishermen braving the arctic conditions of the North Sea. This is Original Gear for Real Men, hardened outdoorsmen risking their lives and pitting themselves against Nature knowing they may perish in the process. A woman who puts on such a garment sidesteps any reference to her sexuality and declares herself ready for anything. When Sofie Gråbøl (it rhymes with trouble) chose a traditional Faroe sweater by Gudrun & Gudrun for her portrayal of tough-as-boots detective Sarah Lund in The Killing, she channelled the police officer's boundless self-confidence and fiercely idiosyncratic nature. This was a fearless jumper, one that would walk into abandoned buildings with no backup and only a sidearm for company. 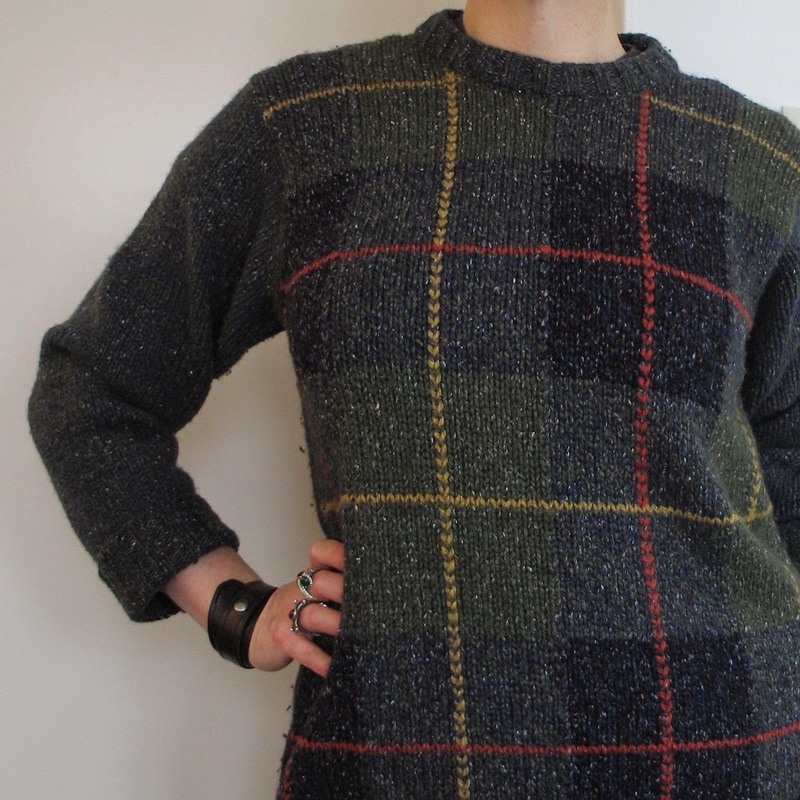 But as Gråbøl points out, the sweater also tells another story of comfort and security, with a pattern which denotes a collective identity very much like the tartan. "I wore this sweater and so did my parents. That sweater was a sign of believing in togetherness. There's a nice tension between those soft, human values and Lund being a very tough closed person – because to me it says that she's wanting to sit around a fire with a guitar; it gives a great opposite to her line of work and behaviour." Little wonder then that the jumper really was the surprise star of the show. Armoured on the outside and soft on the inside, Sarah Lund proves that a winter woolly can be a symbol of a very female kind of toughness. She doesn't need to telegraph her authority, she just has to show up to the game.